I had the opportunity to train our Higher Certificate in Nature Conservation Implementation and Leadership class for six days in the introductory topic of tourism. This is a very important topic for most of our students attending this particular course in Natural Resource Management mainly due to the fact that all of them work for either national, provincial or private nature reserves that offer tourism destinations with all of the related and relevant tourism products. The understanding of how the industry works and the various drivers behind the industry on a local, regional and a global level, arms our students with the knowledge and a sense of significance as to why their own role, regardless of their position within their parks and organization, is so important. The class of 2018 started off very enthusiastically on the first day especially when the students realized what the actual drivers are for guests visiting their areas. We all think we know why people want to visit our natural areas and most of us can give a couple of answers easily off the top of our heads, but do we really understand our guests point of view and how they perceive and experience their visits to our offered destinations? This was the opportunity we offered our students during this training. Yes, there is a theory component to all learning but it’s in the doing thereof that really drives the theory and concepts home. 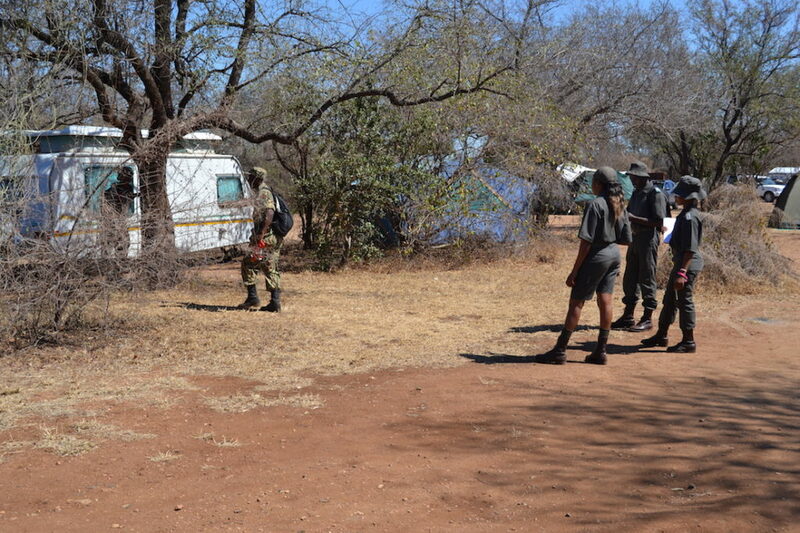 As part of this applied learning, we took the students on an excursion to nearby Kruger National Park and visited one of the camping grounds in one of the main camps. 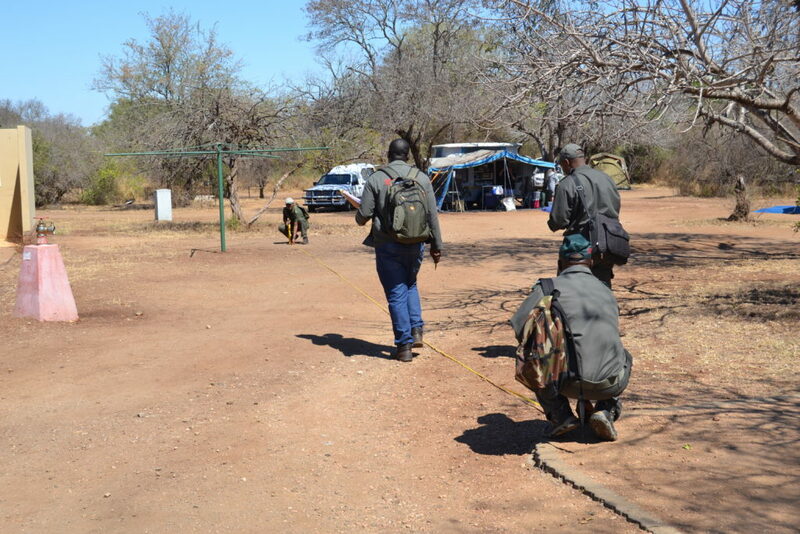 Their assignment included among other things, identifying if a visitor to the camp grounds could easily find their way and settle quickly within a campsite especially if it’s really full at certain times of the year. Some of the students groups found it easier than others but the experience they obtained was not so much from the actual determining of the size and distribution of the campsite, it came unexpectedly (for them) from the guests themselves that were residing on the grounds at the time. Campers in general are very practical people and a couple of them approached our students very positively to contribute to the completion of their assignment. After engaging with three very experienced campers, in the camper’s view, one group of students excitedly reported back on what would be recommendations for the layout of the sites, taking into account the abundance of trees, space between sites, power points, distance from ablution blocks and so forth. 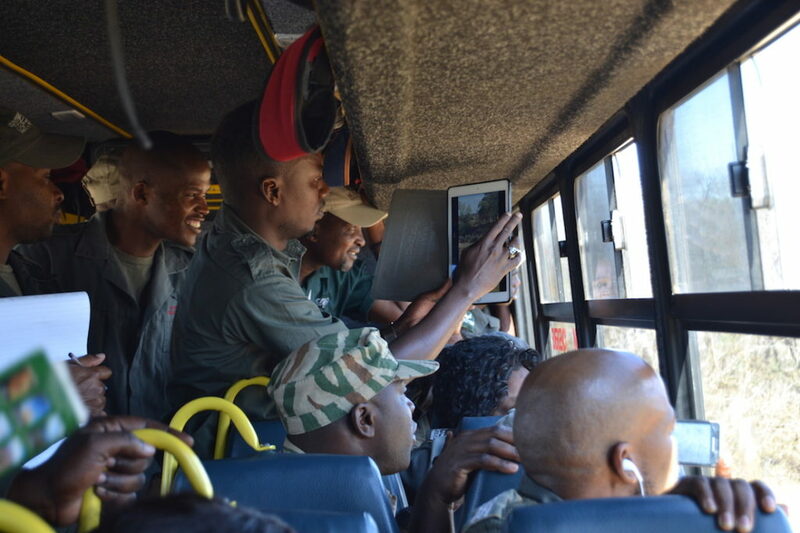 Higher Education Class of 2018 on an excursion to one of the main camps in the Kruger National Park camping grounds. I have to admit my heart leapt with a sense of accomplishment when the reports came back, illustrating that the students finally understood the class theory from the perspective of the guest, because that was actually the point of the excursion. SUCCESS!!! (Although the real success for the students will be in applying what they have learnt when they return to the own regions and parks). In this short time as a trainer on this subject, I realized once again what a privilege it is to work with such a diversity of students coming from various parks across southern Africa. Each one has so much to contribute to their parks and the way they engaged their studies in this module gave me a peek into the quality people they truly are. Higher Certificate Class of 2018, we are proud of you! Students visiting the Kruger National Park had an opportunity to be tourists themselves … This is what happens to students when herds of elephant gather in the riverbed to dig for water.